This is Part 5 of 6. Care to go back to the beginning? Come back in a few days to see the next part! First, I started an emulator using Android Studio. Then, I started Appium Desktop. Is the app already on the emulator or actual device? You need to find the package name and the activity name of the app you want to run, and pass that into the DesiredCapabilities. That didn't work. I noticed a few errors when looking at the Appium Server. This is Part 3 of 6. Care to go back to the beginning? Tune in tomorrow to see the next part! Yesterday, we talked all about connecting Android devices to your computer through a USB cable. What we didn’t cover was that you can also do this through WiFi! Imagine that you are an automation developer who wants to test on real devices. Instead of being forced to have each and every device attached to your computer with a tangle of USB cables, you can have all devices locked down in a lab. Install an Android app on a remote device. … All while connected to the WiFi! This is Part 2 of 6. Care to go back to the beginning? Tune in tomorrow to see the next part! Last blog post, we went over how to get the Appium Server running on a Macbook, through the new Appium Desktop product. What is the Android SDK? From Webotopia: "A software development kit that enables developers to create applications for the Android platform. The Android SDK includes sample projects with source code, development tools, an emulator, and required libraries to build Android applications. Applications are written using the Java programming language and run on Dalvik, a custom virtual machine designed for embedded use which runs on top of a Linux kernel". 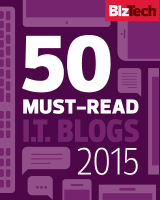 Wow, this is the 200th post I have written here on Adventures in Automation. This blog started a bit over two years ago. As I was trying to do one last big push to try to (somehow) make the shift from manual to automated testing, my wife suggested that instead of the many research notes I was compiling stay on my computer, why not share them in a blog? It was a fabulous suggestion! Not only did I have a code portfolio on GitHub that employers could view, they also received a walkthrough of the code with my blog from automating a simple site covering basic concepts, to building a test framework for more complex sites and testing more complex APIs. Even though I have been a QA Engineer for quite some time, I am rather new to automation development. Lately, I've been trying to figure out how to use the open-source tool, Appium, to automate the mobile test suites that I have been writing for my current position. Luckily for me, the Selenium Conference 2017 has just posted videos of its lectures online, with many of them providing good background information about Appium. Moiz Virani ( @moizjv ), a Software Engineer at Saucelabs and contributor on the Appium project talked a bit about how the Appium project was re-written and restructured. They took a monolithic project and converted it into smaller microservices. More that iOS and Android, they now have drivers for Windows and UIDriver, helping you automate your TV apps. It still uses the JSON Wire protocol, still iis open source and always will be open source. Couldn't attend last week's Selenium Conference? No problems: The videos are now online! Couldn't attend the Selenium Conference Talks in Austin, Texas on April 3rd through the 5th of 2017? No problem! The videos are now online! 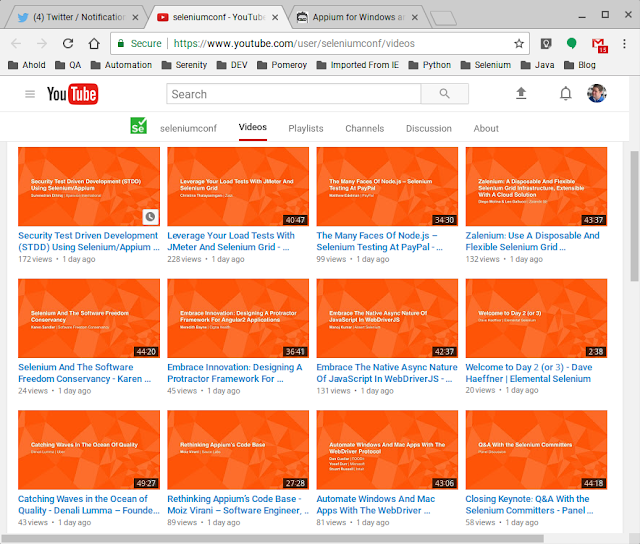 https://www.youtube.com/user/seleniumconf/videos . Thank you, Angie Jones for letting me know! Things are heating up at the Ministry of Testing - Boston! Things are heating up at the Ministry of Testing - Boston! Are you a Software Tester, QA Engineer, Manual Tester, Automation Developer, Software Engineer in Test, SDET, SET, QA Manager, or a Directory of Quality? Come check us out! Our calendar is jam packed! NASA International Space Apps Challenge 2017 Info Session! Anne Fraysse says, "Are you fascinated by the hidden mysteries of the universe? Intrigued by NASA? Love to build and design? Want to be a part of the largest hackathon in the world? Come join me this Saturday at Brooklyn Boulders Somerville, where the International Space Apps Challenge, lead by NASA, is hosting a info session dedicated to their upcoming hackathon - the NASA International Space Apps Challenge (ISAC) 2017 - where teams across the world compete over a 48-hour period to design new and relevant technology!" James Venetsanakos ( LinkedIn ), a seasoned performance engineer will be giving a talk about Performance Testing. Come bring any questions you may have! 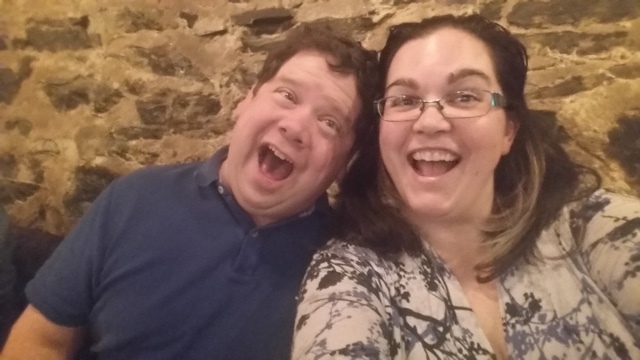 A dinner-and-discussion group run like an end-of-sprint Agile retrosprective to break the ice. What QA related topic do you want to discuss tonight? Learning Appium Desktop: What is Appium Server and How Do You Start It Through Appium Desktop? Serenity BDD with Cucumber, formats tests to be in an easy-to-read Given / Then / When format for feature files, which then can be broken down into step definitions. This is what is already being used in my current position. Serenity BDD gives us easy-to-read reports. Picture the Given / Then / When as a summary report where you can drill down in the report to see the individual steps, how they were carried out, and which individual step passed or failed. Appium Desktop is a web based product used to inspect iOS and Android apps so I can determine a locator strategy for my eventual mobile automation test framework I will be building. Appium Desktop comes with Appium 1.6.4-beta as the server. We will be covering basic concepts of Appium, and doing a deep-dive on many of the Android Command Line Tools used. Although Appium allows both OS and Android, I was going to focus just on Android first, configuring both physical and virtual devices. I will be setting everything up on my Macbook. Why? I really like the Mac Terminal as a Command Line Interface. 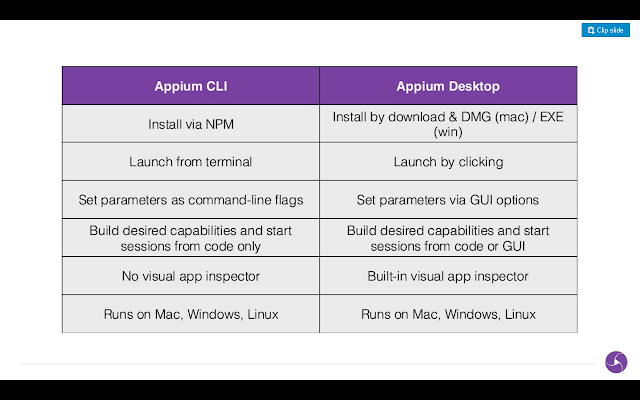 Webinar Notes: An Introduction to Appium Desktop by Johnathan Lipps. "Dan Cuellar was the Test Manager at Zoosk in 2011, when he encountered a problem. The length of the test passes on the iOS product was getting out of hand. Less testing was an option, but would come with additional risk, especially with it taking several days to get patches through the iOS App Store Review process. He thought back to his days working on websites and realized automation was the answer. Become an Event Organizer for the Ministry of Testing - Boston Meetup! Going to an Event or Conference? Planning to go to a software testing conference? Do you dislike flying solo? Don't wait for someone else to put it on the calendar. Become an event organizer and gather together a ragtag group of Ministry of Testing - Boston members to sign up to the event with you! Want to Host a Lean Coffee? Do you wish there were more Ministry of Testing - Boston Lean Coffees in your area? Become an Event Organizer, find a spot to meet, and host your own! (Note, for this event, it is best to cap attendance at 15 people, or the discussion may be unwieldy). Want to Host an Event at Your Company? Are you a QA Manager or know someone who is? Do you have a new automated toolset to demo? 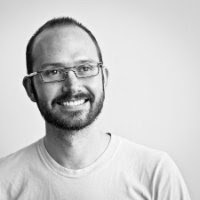 Want to host a roundtable discussion on testing tools and techniques? Become an Event Organizer and host your very own Ministry of Testing - Boston Meetup event at your workplace! It's a great way to get the word out about open job reqs, testing tools you are creating, or simply a way donate your wisdom to the testing community. Write to Conrad Holloman or T.J. Maher to become an Event Organizer for the Ministry of Testing - Boston group. Once you become an Event Organizer, you will have access to the Ministry of Testing - Boston calendar. Create a new event! "Appium Desktop is a new graphical interface for starting an Appium server and inspecting your app's structure via Appium. It's recently been developed by the Appium contributors at Sauce Labs and is currently in open beta. In this webinar we will take you on a tour of Appium Desktop and show how it can be used with the goal of making it easier to write tests for your apps. According to his LinkedIn profile, as Director of Open Source at Sauce Labs: "I lead open source strategy, developer advocacy, and technological evangelism for the world's largest test cloud. In addition to ensuring the open source testing ecosystem is healthy, I lead development of Appium, the mobile automation framework, enabling a whole new level of automated testing for mobile devices and beyond". ...also according to LinkedIn: "I'm a software developer, a passionate leader, a linguist, a philosopher, a writer, a musician, a rock climber, and a runner". Project Lead for the Appium project. Can be reached on Twitter, @jlipps. Johnathan Lipps metioned that Appium is Sauce Labs' biggest project, and have been working on it for quite some time. "Appium is the cross-platform solution for native, web, and hybrid mobile automation." With it, you can automate tests the apps you care about. The main product in the Appium toolset is the Appium server, an invisible piece of software, installed by the Node Package Manager (npm) that sits on top of Node.JS. The Appium server runs as a server on your machine, remotely, or in the cloud, such as with Sauce Labs, "enabling you to send requests for sessions, and within those sessions to send automation commands to [...] tell your device to do things". The Appium Desktop (new!) is a point-and-click interface for using appium and inspecting your app's structure. The inspector helps you find web elements such as a button so you can then make an assertion. It is basicallt a wrapper for Appium. Launch the desktop app, which provides a GUI for the exact same messages you would see in the command line. There used to be appium.app and appium.exe where you could also use Appium with a point-and-click interface. They were good applications that fell by the wayside. Appium Desktop is a "spiritual successor". You can choose to adjust the port or the host if you need, and you start a simple server. You can also select "Advanced" and play around with various options. Make sure to read the documentation, since this will change how Appium behaves. You can also set Desired Capabilities such as platformName : iOS. If you have a huge set of Desired Capabilities you can edit in the GUI of Appium Desktop and see it in the JSON object that the Appium will interpret. deviceName The kind of mobile device or emulator to use iPhone Simulator, iPad Simulator, iPhone Retina 4-inch, Android Emulator, Galaxy S4, etc…. On iOS, this should be one of the valid devices returned by instruments with instruments -s devices. On Android this capability is currently ignored, though it remains required. Go to https://github.com/appium/appium/blob/master/docs/en/writing-running-appium/caps.md to see more Android and iOS specific Desired Capabilities! Start the Session. You need to install Android SDKs of emulators on your local machine. After seeing the simulator, you can see the inspector window. What is going on with different elements? You can navigate the XML source, the response tree. This is how you can find the id or CSS Selector that you then can call. ... It is like the Firefox plugin, Firebug and Firepath used to determine strategies to find locators. You can perform actions directly from Appium Desktop, such as sending keys to a textbox. Note, if you input your Sauce Labs credentials you can use their virtual emulators of Android or IOS devices. Want to See More Webinars from Sauce L? We've covered a lot with Serenity BDD over the past few weeks! Why Replace the Page Object Pattern with The Screenplay Pattern? 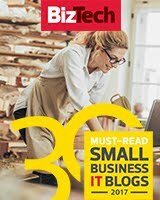 Personally, I am trying to learn Serenity BDD and the Screenplay pattern because it is already the toolset and techniques we are already using where I am assigned as a contractor. I just started my career in automated testing two years ago. "PageObjects have been the staple of automated web testing for over seven years. Simon Stewart wrote the original Selenium PageObject wiki entry in 2009. The concept was introduced to help test-developers reduce maintenance issues that, for many, resulted in flaky tests. Some mistook this as issues with Selenium, rather than with their own coding practices. While PageObjects can act as training wheels and be a good place to start, in this article we show you issues inherent to PageObjects and the benefits of refactoring them using SOLID OO principles. We then introduce the Screenplay Pattern, an alternative approach that could save you the trouble". ... I also heard that the Screenplay pattern has Appium built in as a way to kick off mobile automation. I'll be investigating that, next! "The easiest way to create a project skeleton for a Serenity Screenplay project is to use the Maven Archetype Plugin. To do this, run the mvn archetype:generate command (with a filter to reduce the number of artifacts Maven proposes) as shown here:"
"[...] You will then be prompted to enter a groupId, artifactId, and version for your project, and a root package for your classes [...]". "You will find your new project in the screenplay-tutorial directory". ... And the tests should run! And thank you for Learning Serenity with me! Happy Testing!